The Alliance for Academic Freedom shared following document to oppose two Israel-related resolutions that were discussed at the American Historical Association business meeting on January 4, 2015. The proposed resolutions contend that the freedom of movement of academics is of concern to historians—a freedom that many countries, including the United States, have at times limited. But rather than defending “the rights of American historians to travel to all foreign countries in order to study, teach, pursue research or simply carry on discussions with other historians,” as the AHA’s “Guiding Principles on Taking a Public Stance” (2007) call for, the resolution asks the AHA and State Department to contest solely those denials committed by Israel. But, contrary to the resolutions’ claims, Israel does not “arbitrarily” limit “the entry of foreign nationals who seek to lecture, teach and attend conferences at Palestinian universities” or “arbitrarily” limit the Palestinians’ right to education. In the West Bank there are legally accepted procedures and regulations on the entry of foreign citizens, which are part of the Interim Accords signed by Israel and the Palestinian Authority. The resolutions also omit the necessary context for the security restrictions Israel places on its policy regarding the travel of foreign citizens. After the breakdown of peace negotiations between Israel and the Palestinian Authority, the rise of suicide bombers and other terrorist threats to civilians led Israel to introduce measures to protect its population. Restrictions to the movements of Israelis, Palestinians, and foreigners from Israel to the West Bank must be viewed in this light. Context is also missing from the “Resolution on Protecting the Right to Education in Palestine-Israel.” The resolution states that on August 2, 2014 Israeli Defense Forces bombed the Islamic University in Gaza, which houses the Oral History Center. But according to IDF intelligence, the Islamic University was targeted because of its role both in manufacturing and firing bombs. Middle East commentator Ehud Yaari has explained that the target of this strike was an “R&D facility within the campus serving Izz al-Din al-Qassam Brigades [Hamas’s military wing] where different components of rockets were manufactured. In this facility professors, lecturers and other staff members of the science faculties were working for years on production of rockets—including those with a range to hit deep into Israel—improving the explosive payload and seeking ways to introduce guidance systems. On several occasions rockets were fired from different spots within the campus. The Oral History center was never targeted but there may have been collateral damage.” Indeed, it remains unclear whether the archive was actually damaged at all or whether the oral histories recorded therein survived the attack, in digital or other form. Before the AHA condemns Israel for this attack, whose facts are in dispute, it must at least investigate the incident. Singling out Israel for criticism, these resolutions are part of a much broader campaign that certain politically active factions within many scholarly professional organizations have been waging for some years. Purporting to be universalist in intent, these efforts—including these resolutions—ignore far worse infringements on academic freedom in other countries. A glance at the U.S. Department of State’s Country Reports on Human Rights Practices for 2012, for example, reveals many countries with significant restrictions on academic freedom, even as the Country Report for Israel states that in 2012, “there were no government restrictions on academic freedom.” Freedom House, similarly, points to far more egregious violations of academic freedom in many other countries such as China and Turkey (to name but two). In China, lecturers are routinely monitored by the state and scholars are jailed for their opinions, with the Uighur scholar Ilham Tohti recently sentenced to life in prison. In 2011 Turkey jailed the political scientist Busra Ersanli for her political views. Far more devastating attacks on history—such as the militant group Ansar Dine’s outright destruction of centuries-old shrines in Timbuktu, which are recognized as UNESCO World Heritage Sites—elicited no protest from the AHA. Even considering travel restrictions alone, other countries are far more restrictive. Roughly 20 countries bar admission to holders of Israeli passports. And academics in recent years have faced politically motivated state-sanctioned disruptions of travel in such countries as China, the United Arab Emirates, Ukraine, Bahrain, and the U.K. To focus a resolution about travel restrictions on Israel alone while excluding these other offenders is biased and discriminatory. Israel has long been a state whose politics divide thoughtful people, including the best informed historians. It is an error to imagine that the AHA can now intervene to settle complex, multi-sided, politically fraught issues. It would be a grave mistake for the AHA to pass these resolutions, especially since the evidence for them is weak and under dispute. At the least, any resolution adopted by the AHA on Israel’s policies should be based on dispassionately researched evidence, weighed with the greatest care, and examined by an array of leading scholars with the relevant expertise. Certainly, they should stake no political position on this issue before drawing on the considerable wellspring of scholarship contained in its membership regarding global freedom of entry and access for faculty and students everywhere and, furthermore, without building consensus within the organization. Accordingly, these resolutions are opposed by colleagues with widely differing views on Israel and Palestine, how peace might be achieved, and the politics of the region. What unites us is the belief that these resolutions will needlessly divide the AHA, alienate members, and distract from the institution’s mission of helping professional scholars of history. The vast majority of us did not join the AHA to undertake the kind of political campaigns of which these resolutions are a part. We join for the conferences, the journal, the professional opportunities, the intellectual collaborations. The AHA should be a place where all scholars, whatever their politics or views on the Middle East, feel welcome. Instead of divisive resolutions, the AHA should find affirmative ways to support dissenting scholars and promote dialogue among groups with different viewpoints. “Guiding Principles on Taking a Public Stance,” Perspectives, American Historical Association, March 2007. AHA website. 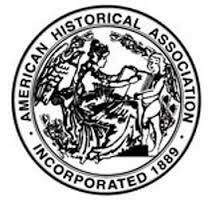 Jim Grossman, “AHA Won’t Be Considering Petition,” American Historical Association, Perspectives, HNN, December 15, 2014, http://historynewsnetwork.org/article/157882. “Higher Education in the Palestinian Territories: Entry of Foreign Academics to the West Bank,” The Embassy of Israel to the United States, Israel Diplomatic Network. Education, 2014, http://www.israelemb.org/washington/AboutIsrael/Education/Pages/Higher-Education-in-the-Territories.aspx. “Border Security: Entry into Israel,” Embassy of Israel to the United States, Israel Diplomatic Network, Consular Services, 2014, http://www.israelemb.org/washington/ConsularServices/Pages/Entry-to-Israel.aspx. “Resolution on Protecting the Right to Education in Palestine-Israel,” HNN, 2014, http://historynewsnetwork.org/article/157891. Kari Huus, “Hamas bans Gaza students studying abroad,” nbcnews.com, August 17, 2011, http://www.nbcnews.com/id/44179843/ns/world_news-mideast_n_africa/#.VJ27KZDAQ; See also Isabel Kershner and Majd al Waheidi, “Hamas Turns Back 37 Gaza War Orphans From a Bridge-Building Trip to Israel,” NYT, Dec. 28, 2014, http://www.nytimes.com/2014/12/29/world/hamas-turns-back-37-gaza-war-orphans-from-a-bridge-building-trip-to-israel.html . “Targeted Air Strike on Weapons Facility in Gaza,” The Embassy of Israel to the United States, Israel Diplomatic Network, News, 2014, http://www.israelemb.org/washington/NewsAndEvents/Pages/targeted-strike-protective-edge.aspx. Ehud Yaari to Jeffrey Herf, e-mail, November 2014. “Surveillance, Psychiatric Detention Limit Academic Freedom,” China Media Bulletin, 77, Freedom House, December 14, 2012, https://freedomhouse.org/article/china-media-bulletin-issue-no-77#3. Edward Wong, China Sentences Uighur Scholar to Life, New York Times, September 23, 2014, http://www.nytimes.com/2014/09/24/world/asia/china-court-sentences-uighur-scholar-to-life-in-separatism-case.html. Cat Lucas, “Turkey Focus, 2013,” English PEN, April 12, 2013, http://www.englishpen.org/campaigns/turkey-focus-2013-busra-ersanli/. Roman Olearchyk, “Businessmen and Academics Denied Entry to Ukraine,” Cnbc.com, December 23, 2013, http://www.cnbc.com/id/101292272. “Letters on Bahrain,” Middle East Studies Association, January 22, 2014, http://www.mesa.arizona.edu/committees/academic-freedom/intervention/lettersbahrain.html.